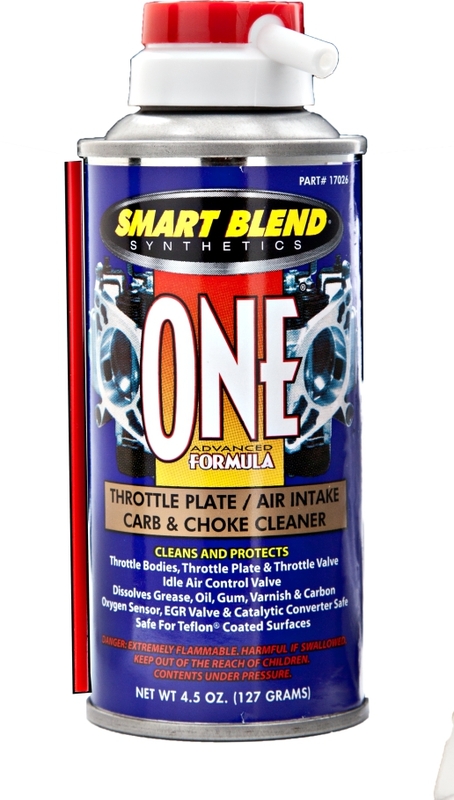 One Formula Throttle Plate, Air Intake, Carb and Choke Cleaner is a unique three in one cleaner that is safe for use on all Air Intake and Carburetor components. This product is especially formulated to clean and completely flush out and remove any dirt, carbon, gum or varnish that could restrict or interfere with the precise operation of the Air Intake System. This Product Is Oxygen Sensor, Catalytic Converter, EGR Valve and Teflon Coated Surface Safe.